Take your trials bike deep into the temple ruins! 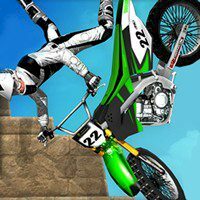 Perform some amazing flips and stunts in order to reach the finish on each level. With crazy and challenging levels, you will be hungry for more. Control your bike through some dangerous zones and tricky obstacles if you believe you can!